Our self-guided walking holidays are ideal for couples, individuals, families and readymade groups, looking for independent hiking adventures. Best of all, as you tour each region, your active holiday allows you to experience the history, culture and natural scenery in new and exciting ways. We also design all of our guided walking holidays to ensure that you have the opportunity to taste the best local and authentic cuisine—creating once-in-a-lifetime memories and giving you the fuel needed to continue on your journey. You may wish to walk one of the Caminos in Europe, the famous pilgrimage routes that pilgrims have followed for centuries due to their faith and religious understandings. We have trips along the Saint James Way in Spain, St Francis Way in Italy, Via Francigena in Italy, Jacobs trail in Austria and Le Puy Way in France, the French start of the Camino de Santiago. Our tours have been selected to appeal to a wide range of tastes and fitness levels. From leisure walkers to experienced trekkers. In designing each route, we select only the best trails for you to walk along. This allows you to make the most of the spectacular scenery the country has to offer. The accommodation we offer is always handpicked to ensure that you have much more than a mere place to rest your head. We strive to find inns and lodges where guests can relax and unwind after an intense day of hiking. Whenever possible, we make a point of arranging accommodation at a place of great character. 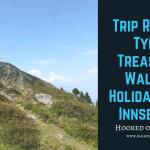 If you are interested in booking your next hiking holiday in Europe, or the UK, then please don’t hesitate to contact Hooked on Walking. We’re a family-run business with almost 20 years of experience organising tours just like these, and we’re ready to help you organise one of the best hiking holidays you’ve ever experienced.